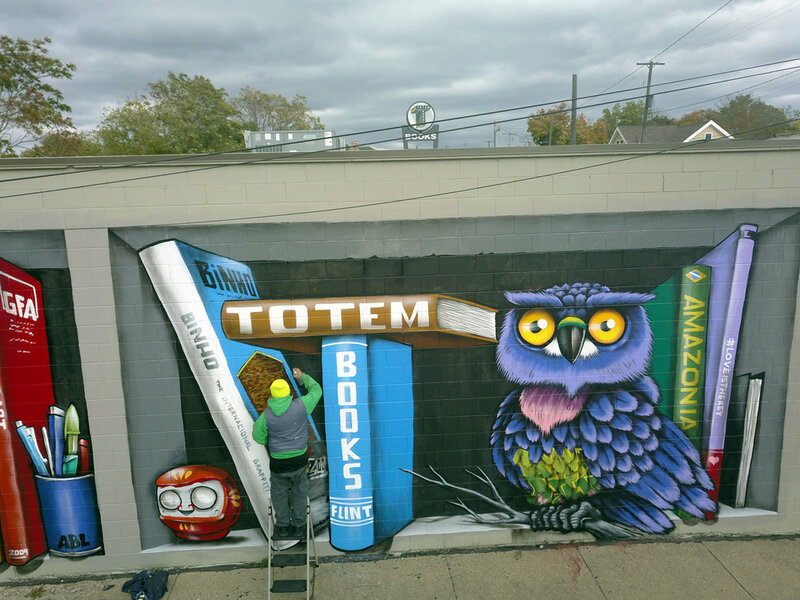 brazilian artist and graffiti legend, binho ribeiro, adds finishing details to his literary themed mural at totem books. 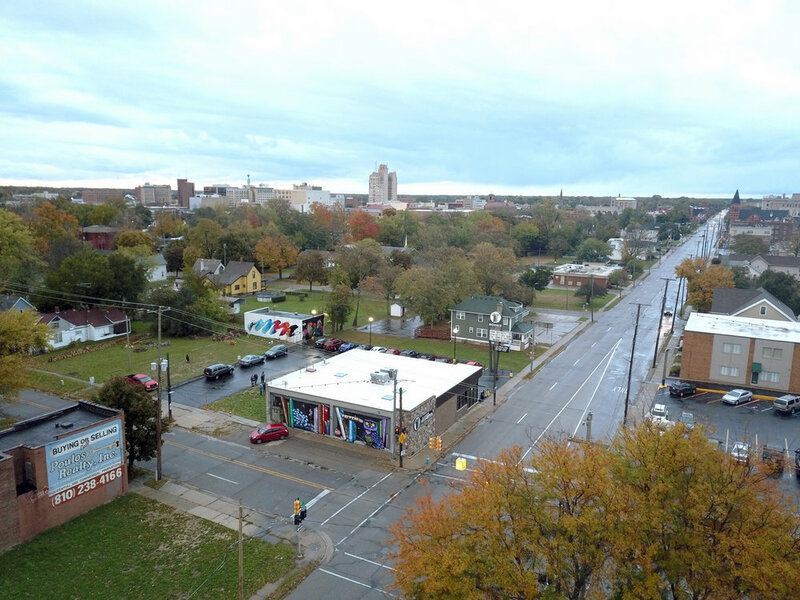 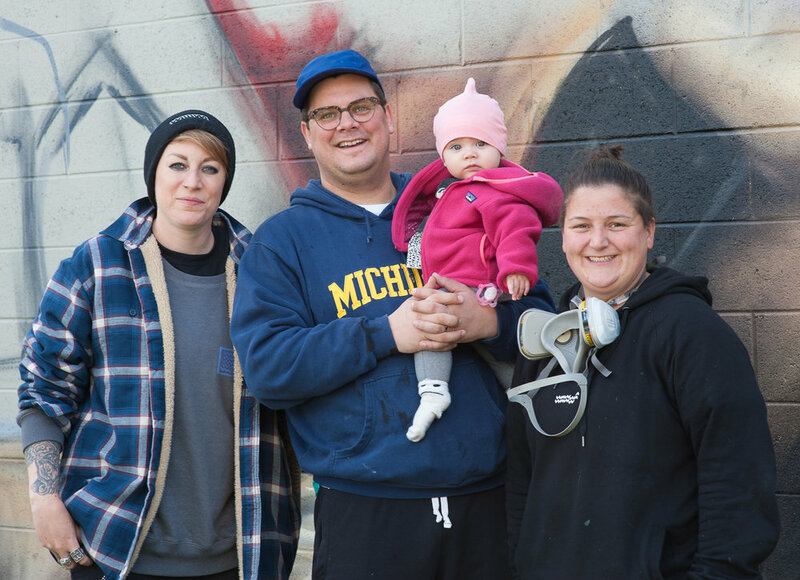 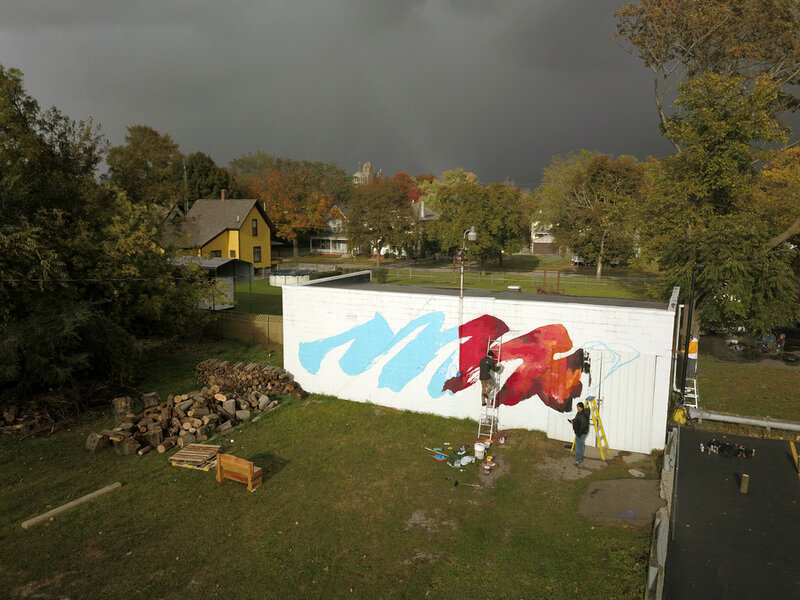 the flint fam gathers post rainfall to finish painting and documenting the new murals. 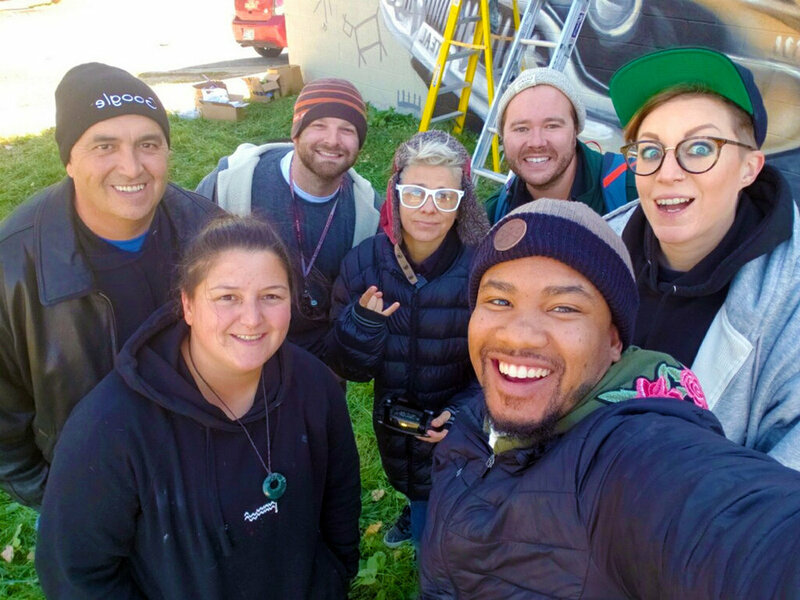 from left to right: joe schipani, hayley “aylo” garner, kevin “scraps” burdick, zippy downing, christopher mcgeorge, trevor norman, & joy “cbloxx” gilleard. 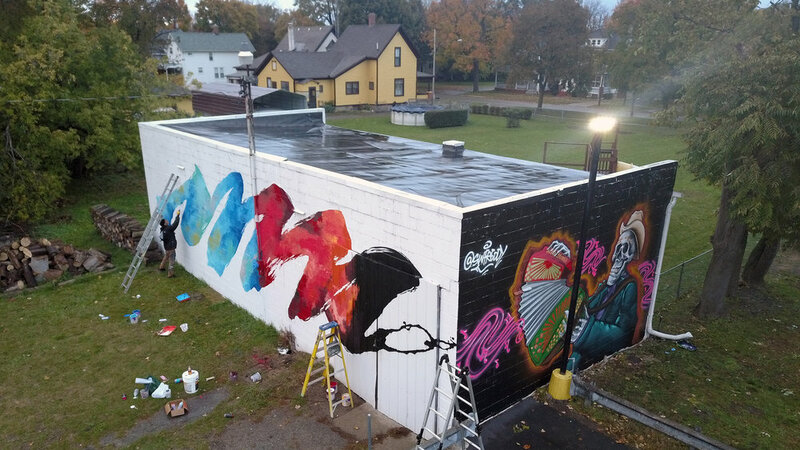 totem books’ neighbor provided access to their private yard so charles boike, kevin “scraps” burdick & binho ribeiro could adorn the book warehouse with narrative character murals.